As with any competition, in the end there can be only one. 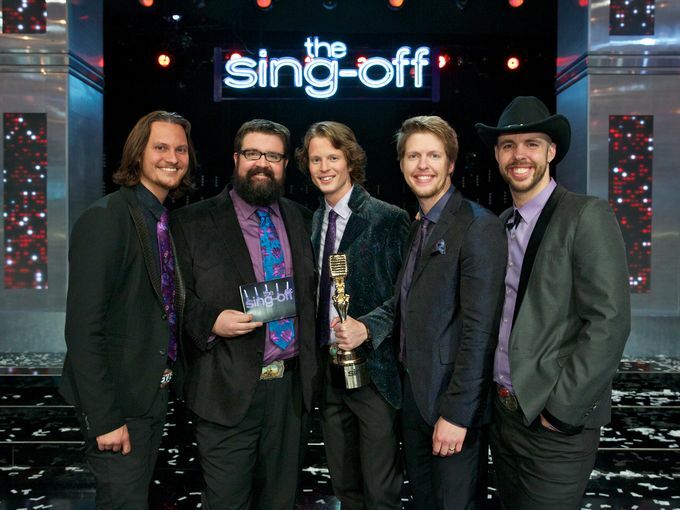 On Monday night’s finale of NBC ‘s The Sing-Off, the Minnesota-based country vocal band Home Free joined a cappella bands Nota, Committed and Pentatonix (winners of seasons 1-3) as The Sing-Off champions. 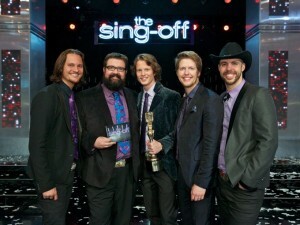 Home Free, founded by Gusties Chris & Adam Rupp, took home the $100,000.00 prize and the Sony recording contract. Through the two weeks of The Sing-Off, Home Free matched its vocal talent and polished stage presence with precise arrangements and close-knit, high-energy vocals that brought the audience and the judges to their feet night after night. Their performances of rock (Tom Cochrane’s “Life is a Highway”), rock ‘n roll (Roy Orbison’s “Pretty Woman”), country/rock (Florida Georgia Line’s “Cruise”) and classic country (June Carter/Johnny Cash’s “Ring of Fire”) proved their flexibility in both style and technique. In the semi-finals, Home Free stayed with their country roots in their performance of the Zac Brown Band’s ballad “Colder Weather” and advanced to Monday night’s finale. Once again, they stayed with their contemporary country roots and, in their final performance, presented their arrangement of Hunter Hayes’ Grammy-nominated “I Want Crazy.” When the decision was announced at the end of the two-hour broadcast, Home Free was standing alone as champions. In the end, when the singing was done, they were the champions. For now the group will savor its win with a short break for Christmas before heading back to work. Minutes after the decision was announced, Home Free released its newest video, a Hunter Hayes medley. They will continue to work on their newest recording as they head back to the road with three cruises beginning at the end of December and concert touring through January. In February, Home Free will hit the road as part of The Sing-Off Live Tour, a 32-city tour with finalists from the show. Not long ago, when Chris Rupp told people he was a member of an a cappella vocal band, they didn’t know what that meant. For the five members of Home Free, this should no longer be a problem. Additional information about Home Free’s videos, recordings and touring schedule is available on its website at homefreevocalband.com. Thanks Frank. This is a good example of why I shouldn’t be writing after 2:00 a.m. Thanks for your comments Ed. This was a fun story to write. Thought it exciting to share another Gustavus connection to the Sing Off and the champions Home Free. Senior Alex Galken’s uncle: Joel Gallen was the creator of the Sing Off; and Director of seasons1-3.